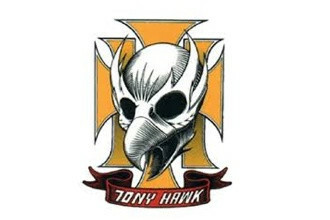 Tony Hawk is a legendary skateboarder from America, his nickname is Birdman. Tony Hawk has been a pioneer in the field of vertical skating. At nine began the American skateboarding and already at twelve he managed to win his first sponsorship contract and was a member of the Powell Peralta Bones Brigade Team. In 1984, at sixteen, he became the first world champion.